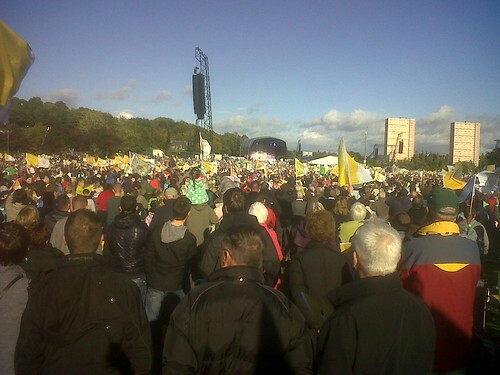 This is how the Mass at Bellahouston looked for the faithful. But how did it look for the Pope? It was an occasion of intense spirituality and of great importance for the Catholics of the country, considering also the fact that on that day occurred the liturgical feast of Saint Ninian, the first evangelizer of Scotland. During that liturgical assembly, gathered together in attentive and participative prayer, made yet more solemn by traditional melodies and inviting chants, I recalled the importance of the evangelisation of culture, especially in our age in which a pervasive relativism threatens to obscure the unchanging truth of the nature of man. Distraction: I must confess that when I heard the Pope’s unusual trun of phrase at the end of his homily (‘The Church now belongs to you!’), it did remind me of a well known traditional melody. The quest for the sacred does not devalue other fields of human enquiry. On the contrary, it places them in a context which magnifies their importance, as ways of responsibly exercising our stewardship over creation. 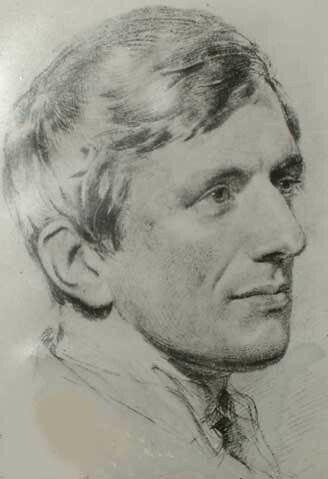 Blessed Dominic of the Mother of God describing Blessed John Henry Newman in a letter to the Superior General of the Passionists, Father Anthony of Saint James, October 1845. 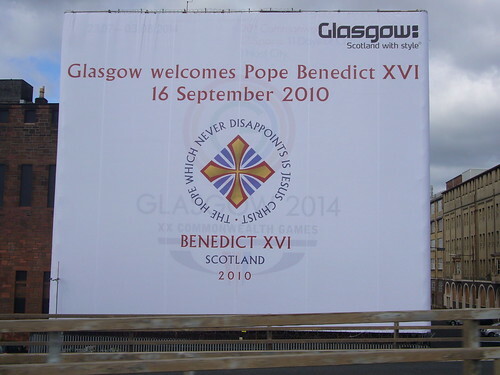 I’ve been reading so much nonsense recently about the cost of the Papal Visit. It was refreshing to read something about what Britain will gain financially from Pope Benedict’s presence among us. No complaints here about the cost of the visit!